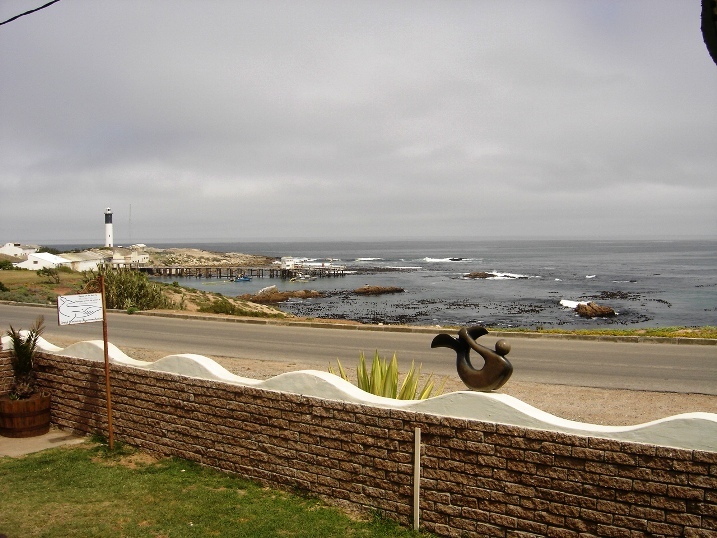 Total Relaxation, situated on the West Coast is a small coastal town named Doringbaai, to the north is the Olifants River and to the South is Lamberts Bay. Thorn Bay is approximately 3 hours from Cape Town either travel the N7 or the R27 along the coast past Veldrif, Elands baai, Lamberts Baai.<br /><br />The West Coast is known for fishing, whale watching, wild flowers all seasonal, wine tours and crayfish diving, unique to this coast is the diamond diving vessels on flat sea days. On the Olifants river is 70 different species of birds.<br /><br />There are various activities, swimming, fishing, walk trails along the cliffs, Quad bike trails, 4x4 trails or take a drive to the various wineries, restaurants. There is a cave restaurant Kliphuis and an open air, on the beach, restaurant Muisbosskerm. 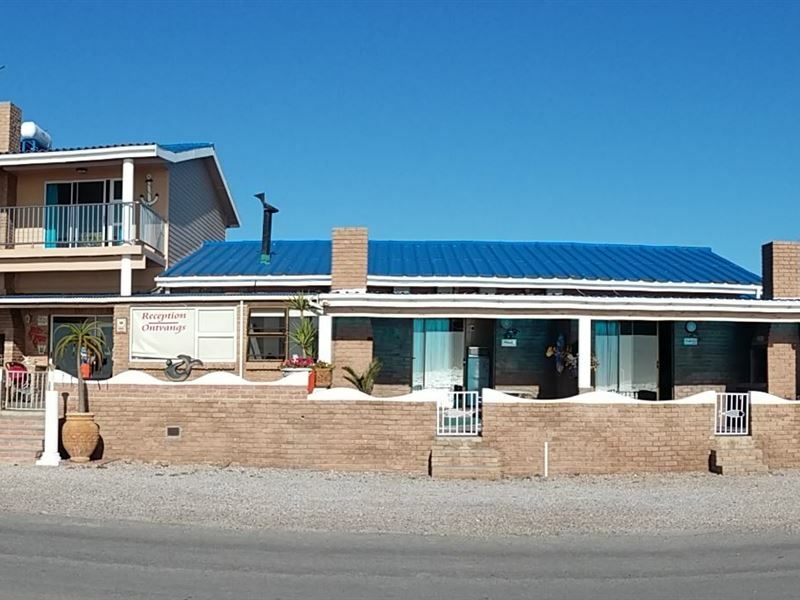 On flat sea days you can see the diamond vessels in action.<br /><br />Each self-catering Unit is seafront and has been named after a fish, and the unit has been designed around a sea theme. 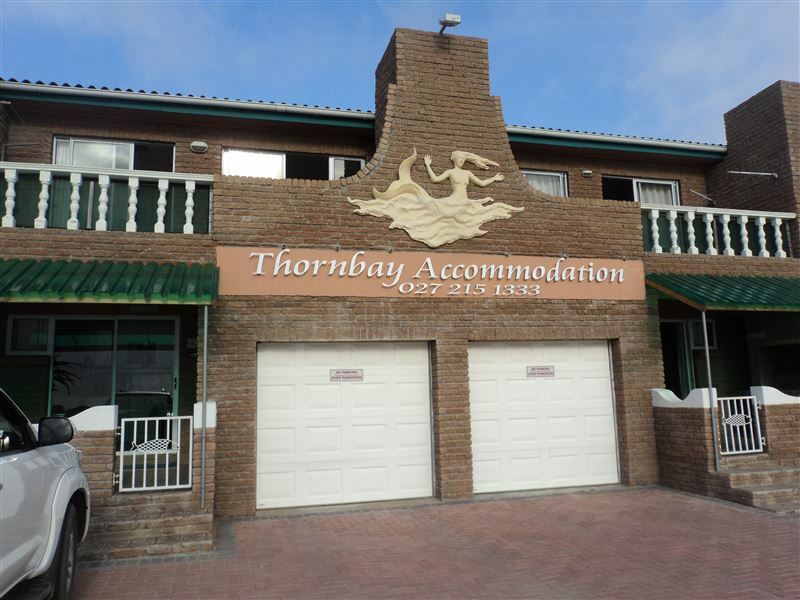 Each unit consists of a fully equipped kitchen, TV, linen, towels and own braai area overlooking the harbour, lighthouse and unlimited sea view&apos;s. There are the open plan and one bedroom units ideal for two adults and two children under 12 and the two bedrooms units ideal for two couples plus two to four children under 12.<br /><br />On the premises, at the back of the units is a well-stocked fisheries for all your seafood meals/braais, trampoline/swimming pool/pool games room/mini gym and mini library. 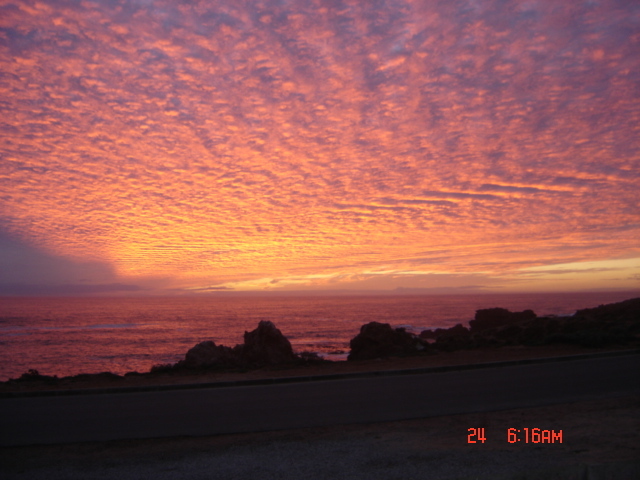 At the end of the day relax and watch the unforgettable sunsets with a sundowner.<br /><br />Doringbaai has two shops, two bottle stores, fuel pumps, sports pub, fisheries for all your seafood needs and an &apos;a-la-carta&apos; restaurant The Cabin for breakfast, lunch or evening meal. 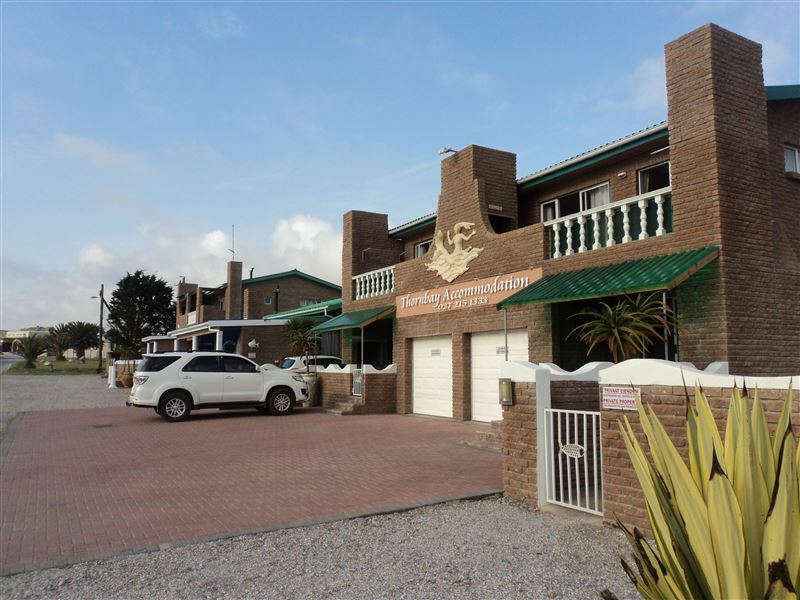 "The accommodation was ideal for what we were looking for..... quiet, chill time. The ever changing views of the sea and the sunsets were soul food. Being able to braai on our balcony was also a bonus. 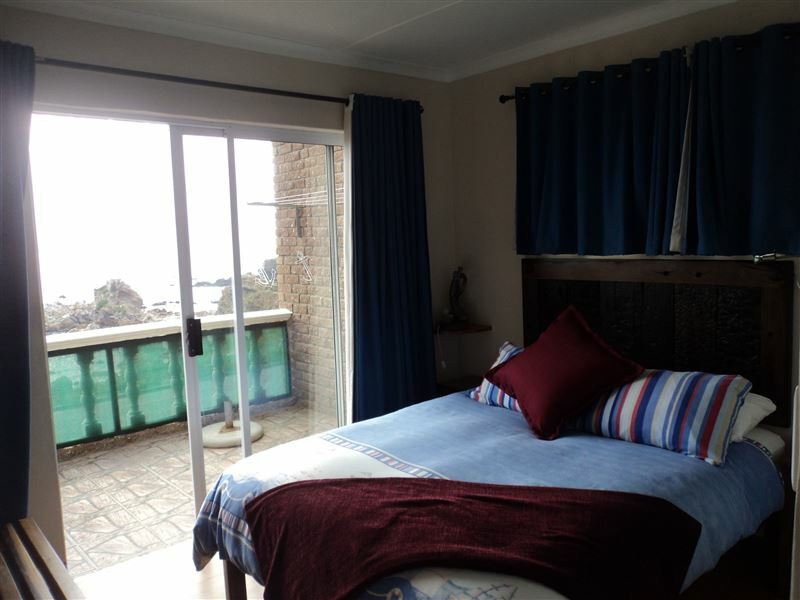 The room was spacious, excellent bed and everything spotlessly clean." "It is truely a beautiful town, with very friendly people. 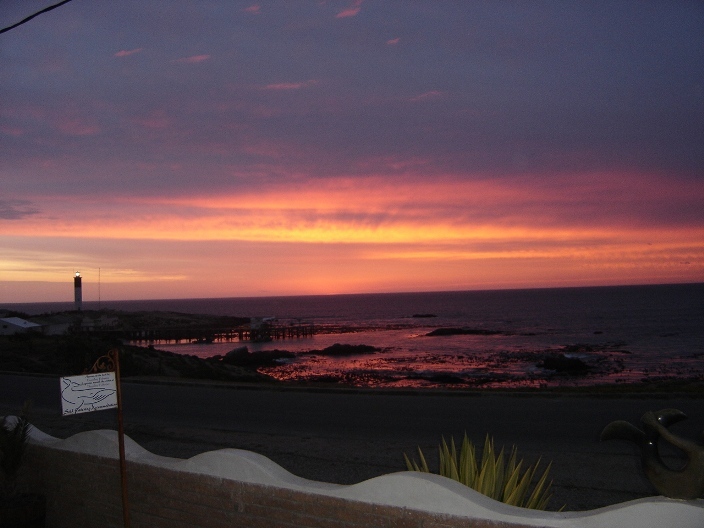 The chalets are nicely situated & in the evening when you sit on your private stoep... you will see a stunning sunset :)"
"Die ligging en uitsig is pragtig." "Die eenheid bied die basiese benodigdhede. Teen die tarief wat gehef word voel ons dat die plekkie op &apos;n daaglikse basis skoongemaak kan word ( nie teen ekstra koste nie ). Om dieselfde rede glo ek kan toiletpapier meer gereeld as een rolletjie in ses da voorsien word!! Die dakwaaier is nie in instaat om vinniger as die stadige spoed te waai nie, wat in die dag en &apos;n half van bergwind toestande van geen nut was nie. Die mikrogolfoondjie is nie werkend nie. Maar oor die algemeen het ek en Lin &apos;n aangename tydjie gehad en saamgestem dat ons weer sal gaan." "See two sub-species of Karoo Lark in the same pentad Onderputs farm"
"The stay was good, but that "dining table" is too unstable. We lost a couple of drinks, just cutting food!Also NO oven! All the food I bought for self catering needed to be baked, oven heated. I had to go and buy fish next door." "Great stay for us and our doggy. Relaxing and always a beautiful view." "The view, the unit and the welcome"
"Absolutely LOVED our stay and will go back at the first opportunity. The unit was clean, neat and very well equipped." 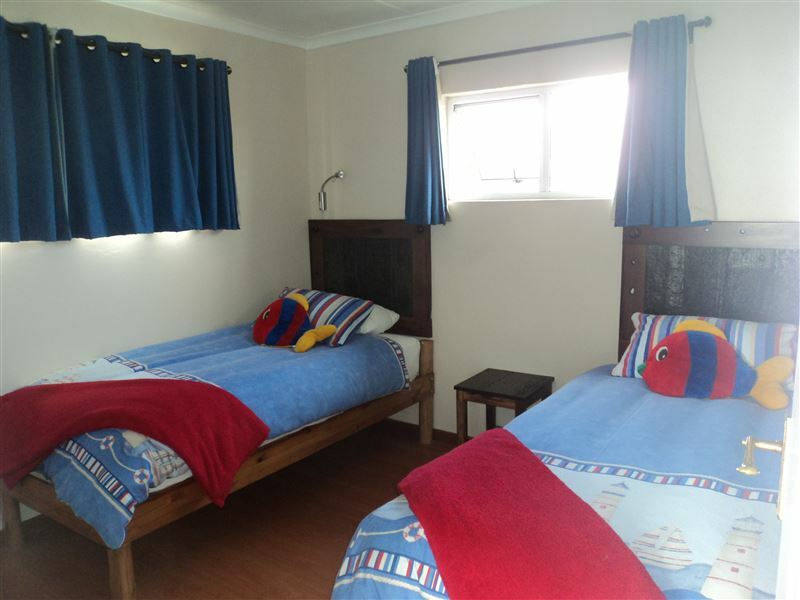 "Total relaxation in peaceful surroundings"
"Comfortable and well positioned, this accommodation is the perfect get away for solitude, rest, quietness and "chillaxing".With a kitchen stocked with all the utensils you need to cook a gourmet meal, one need never leave the accommodation. Lying in bed between quality linen and listening to the waves breaking against the rocks is heaven. A self service establishment so remember to take your own toiletries as the only guest amenity is hand soap.I will be returning and recommend this accommodation without reservation. Thanks Peter and Michelle"
"Beautiful beautiful beautiful!!! The view was so special. Very neat and cosy. Definitely visit again." "HiYes we did enjoy our stay at Thorn Bay we will make use of this again but in the summer time. If I must give it a ranking out of 10 we will say 9. The management and staff were very helpful and always friendly thanks again for a wonderful stay.Kind regardsLouisa"